On October 24th Allard Castelein, the CEO of the Port of Rotterdam Authority, and Camilo Santana, Governor of the Brazilian state of Ceará, signed an investment agreement regarding the Port of Rotterdam Authority’s participation in the development of the port of Pecém. The agreement sets out how the Port of Rotterdam Authority will be investing some EUR 75 million in Pecém’s port-industrial complex, constituting a 30% share in this enterprise. In addition, the Port of Rotterdam Authority will gain a joint say in strategic and investment decisions as well as representation in the Brazilian port’s Executive Board, Supervisory Board and management. Allard Castelein, the CEO of the Port of Rotterdam Authority, and Camilo Santana, Governor of the Brazilian state of Ceará, sign an investment agreement regarding the Port of Rotterdam Authority’s participation in the development of the port of Pecém. With an average growth of 22% in the past decade, Pecém is developing at a rapid pace. Pecém’s port-industrial complex is home to numerous logistics and industrial facilities, including a container terminal, power plants, a steel mill and wind turbine manufacturers. Another feature adding to Pecém’s appeal is that a large share of the required infrastructure for the port-industrial complex (breakwaters, berths, land, etc) has already been developed. 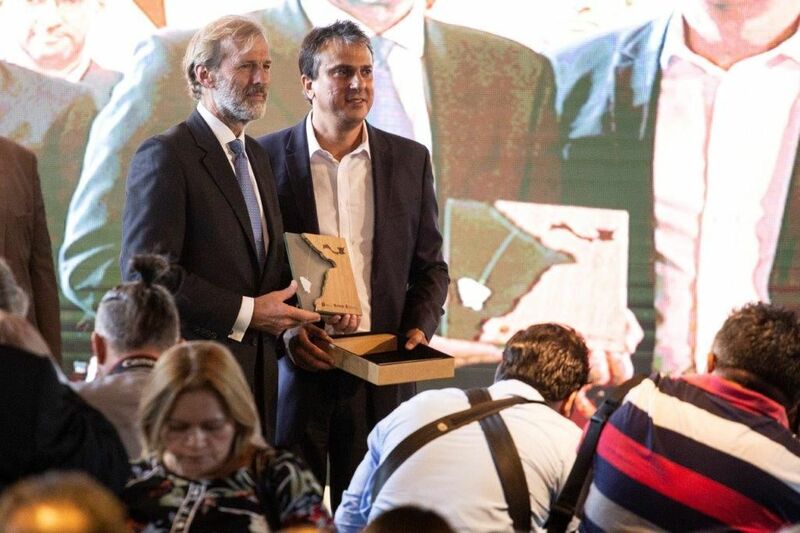 The state of Ceará has recently invested in a variety of international partnerships aimed at further developing the region as a hub of international connections for Northeast Brazil. For example, the German company Fraport operates the airport of Fortaleza, and in May 2018 the airline Air France/KLM set up a connection to this airport in partnership with GOL. In addition, the state is laying underwater data cables for telecommunications that connect Northeast Brazil with Africa and the USA. The new partnership with the Port of Rotterdam Authority allows Pecém to develop into the leading maritime hub for Northeast Brazil. Camilo Santana, Governor of the Brazilian state of Ceará, is pleased: We are celebrating the partnership between the Government of Ceará and the Port of Rotterdam, the largest port in Europe and one of the largest ports in the world. I am absolutely convinced that the people of Ceará will benefit the most from this partnership, with more employment opportunities and income’.